New York: Popular Library, 1973. Original Wraps. Collectible; Fine. 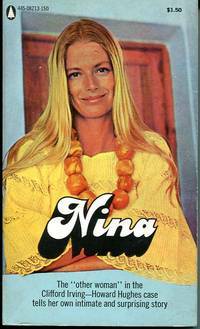 WARMLY INSCRIBED BY NINA VAN PALLANDT on the front free endpaper. A crisp, clean copy to boot of the 1973 1st paperback edition. Bright and Near Fine in its pictorial wrappers. Popular Library pocketbook, 221 pgs. "The 'other woman' in the Clifford Irving-Howard Hughes case tells her own intimate and surprising story" Signed by Author. Houston: Cordovan Press, 1974. 1st. Original Wraps. Collectible; Very Good. A crisp, clean copy of the 1974 stated 1st printing. Bright and VG+ in its original red wrappers, with light creasing running aong the panels. 12mo, 160 pgs. Chicago: Institute of Applied Science, 1945. Original Wraps. Collectible; Very Good. First Edition. 12 monthly issues --the complete run of 1945-- collected and bound together. All issues VG in their original pictorial wrappers. 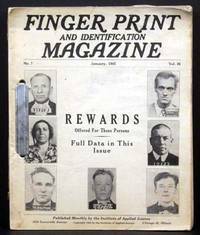 Wonderful, lurid trade magazine --filled with profiles of escaped convicts and the grizzly crimes they committed. Octavos, hundreds of pages, richly illustrated thruout.